While you may be right in thinking that you are going to make a profit from selling your property, you should also be aware of the overlooked cost of selling your home. At Cornerstone Realty we want to make sure that you know about the possible costs involved when selling your home so that there are no nasty surprises during this exciting process. 1. Small home improvements (inside and out) – A simple fresh and neutral coat of paint, a thorough professional cleaning and minor repairs such as replacing missing roof tiles or replacing cracked window panes are important details that can add a lot of value to your property. 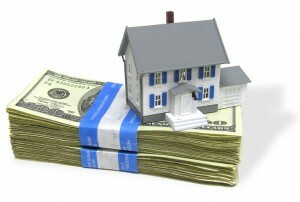 While these may seem like unnecessary expenses to a property you are no longer invested in, experience has shown that they can mean the difference between a house selling within a few weeks and garnering a higher profit and a house which sits on the market for months and is tarnished with a bad reputation for being a problem property, therefore decreasing its value significantly. Also, if you want to make sure that you fix any problems before you sell, hire a home inspector to pinpoint any problems that will need to be addressed. And please do not forget your garden! Curb appeal is a big factor in selling your home for a higher price. 2. Staging your home – You can hire a professional stager, a knowledgeable realtor, or even do a little redecorating yourself to de-clutter, organize, and in some instances refurnish your home. This may seem like a cost of selling your home that is not needed but it can add thousands onto your sale value. Potential buyers like to be able to picture themselves in the house they are viewing. If they can’t (maybe because the house is full of clutter or they are distracted by the outdated furniture or because they are looking at the pictures of you and your family lining the walls) then they aren’t likely to buy the house. So spend a few extra hundred dollars to make sure that your home is as neutral as possible and you will reap the rewards later. 3. At closing you should expect at least some of the following costs: lawyers and notary fees, extra homeowners’ and title insurance, homeowners’ administration and transfer fees, title search fees, real estate agent commissions, escrow fees, mortgage and home appraisal, recording and transfer of the property, fees included in organizing and paying off the mortgage, transfer tax, capital gains tax, property tax, home warranty for the buyer and other such costs. The good news is that many of these fees and taxes can be reduced (through negotiation or smart accounting), or can be shared with the buyer. So while the cost of selling your home may seem like more hassle than it is worth, it is always important to remember that many of these things will actually add value to your property and your sale – especially having a knowledgeable realtor on your side.